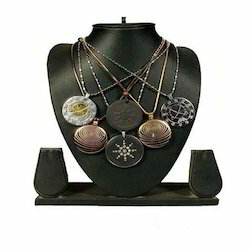 Our discerning clients are offered a wide array of AM Pendant that is made by using the highest grades of unadulterated lava, lead.The pendant itself is designed to resonate at zero point energy and help the human bodies bio energy field restore itself to its natural homeostasis condition. It is manufactured by using cutting edge technologies under stringent norms of quality in accordance with well defined industry standards of the domain. 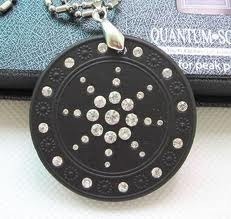 It is shown to raise vibratory frequencies and transcend the human being to higher spiritual levels. 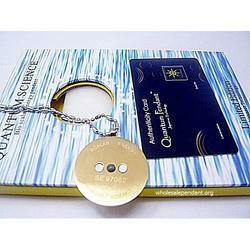 The Mineral Quantum Science Scalar Pendant ! A unique and scientific healing product, which is guaranteed to boost your health and keep your mind, body and soul in harmony against all odds. This scalar energy pendant is a product by Biolife Impex Pvt ltd, Indias leading manufacturers and suppliers. 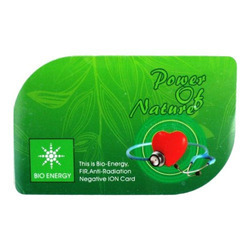 This ISO 9001-2008 certified company is globally acclaimed for its various Bioenergy healing products. 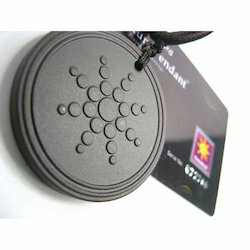 Who has not heard of the Biomagnetic bracelet, the Bioenergy card or the AMized Pendant? These and many more such products, are what distinguish Biolife impex as one of the pioneers in the field of scientific and holistic healing remedies. The Scalar energy pendant is not only beautiful to look at, but a veritable powerhouse of healing energy. It comes in the shape of an exquisite black matte disc, which is encrusted with diamonds, giving it a classic futuristic look.